easter gift mailed! — Pencil & Paper Co. I just dropped a little "easter care package" in the mail for my sweet mom! I'm finally on time!!! 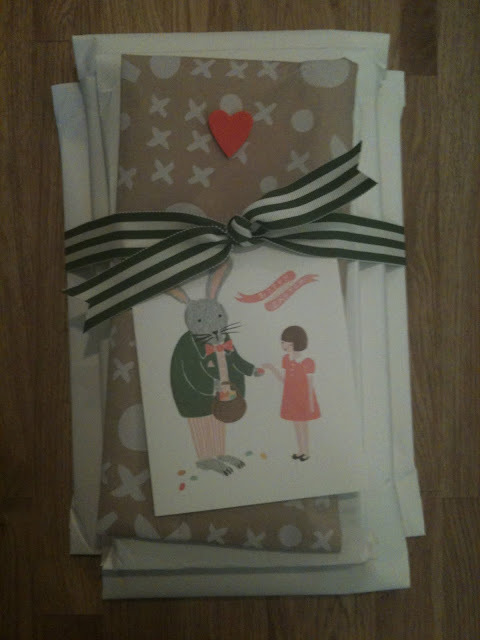 ...and just loving wrapping all my little easter "treats" with my new cards designed by Anna Bond. One day, I will treat myself to her customized stationary-ADORABLE!! !